“I have stayed here up to now, as for a long time I have remained here. About now, I myself will go wandering around the earth,” he said. “In any case, here all of my children have already grown up,” he said. Thus, Potts frames the first section of his collection as both a beginning and an ending: a beginning of wandering, following an ending of the cycles of creation. Set on a kind of permanent roam-state, the speaker of Potts’s collection commences an often-nightmarish journey of a series of departures, discoveries, and dead ends. I’m too thin to wear it. Wind covers it in smoke. I sit in my house coughing. “You’re a liar,” you say. A tragic comedian — not unlike Beckett — Potts’s speaker introduces us to a particular kind of loss: the loss of false starts, reversals, chance-induced repetitions, and misunderstandings. Here is a world in which struggle leads to more struggle; possession leads to dispossession; nature is capricious; the traditional lyric contract between speaker and interlocutor is disrupted by narcissism and resentment; and all of these seemingly unrelated occurrences come together in bad faith of the poetic ending. Kasey Jueds: The book’s title poem, the one you quoted in full, is one I’ve returned to again and again, one which seems — despite its brevity and the relative straightforwardness of its language — different every time. Lewis Hyde’s description of Trickster perfectly fits my experience of this poem’s shape-shifting ability. The action of the poem seems both mythic and actual, a doubleness especially present in the interaction between the speaker and the poem’s “you.” I can easily imagine this relationship as existing between two actual humans, and yet I experience it equally as a relationship between a human speaker and Trickster energy, or between conflicted internal aspects of a single person. Sometimes, too, the poem’s “you” seems to be addressing — rather than an “other” in the form of the poem’s speaker—me, the reader. And by the end of the poem, the poem’s “I” and “you” have — “merged” is not exactly the word I’m looking for — but have come so close that the boundaries between them seem to have blurred. They exhibit the same behavior, the same symptoms, the same radical dis-ease and discomfort. The title poem’s structure, its use of repetition and song, form the building blocks of its wonderfully — and painfully — contradictory nature. The instances of “I do this, then this happens” lend the poem a sort of mathematical precision. And at the same time, almost nothing in the poem lives in the realm of logic. What follows the word “then” — always precisely placed at the end of a line — is each time not just surprising, but jarring and disorienting. Building a house, creating a garden — both, traditionally, acts of homemaking, of making oneself at home in the world — lead not to a sense of home but of estrangement and confusion, of being covered in smoke. It’s as if the poem, in the way it leans on its logical foundations, longs to enact that sort of logic — the type of logic that would help the speaker, and the reader, find that sense of home. Instead, as you said, struggling leads inevitably to more struggling, and possession to dispossession. I settled on the number one. I refused all manner of addition. I was careful to touch nothing. I knew someone was right. How can we live in the world adding nothing, touching nothing? This is, as “someone” points out, impossible. But to simply acquiesce — without question or struggle — to touching and adding to the world, and thus inevitably damaging it, is equally impossible for Potts’s speaker. (no one shape left alone) always food & self. Here, the blurring between self and other that you mention is further complicated by the ecology of “food & self.” The violence that we perpetrate against animals finds its “way in” to us, physically and metaphysically. And the poem too, as a retelling of such violence, is itself implicated. As Potts puts it in the prose-poem “Diary,” “The language of words is the language of consumption …” (62). 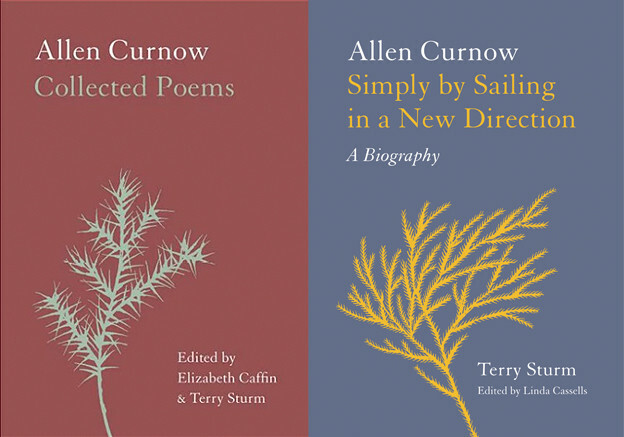 And whereas documentary poems such as “A Natural History” rely less explicitly on traditions of song than others in the collection, their steady, loosely syllabic lines and slant-rhymes (“ice”/“white”; “else”/”self”), as well as their use of dialogue, put me in mind of some of Frost’s most subtly disturbing poems, such as “Mending Wall.” (“The work of hunters is another thing: / I have come after them and made repair / Where they have left not one stone on a stone, / But they would have the rabbit out of hiding, / To please the yelping dogs.”) Like Frost, Potts’s formidable control of the music of the line renders his poems’ complex, emotionally raw material all the more haunting. We are easily hooked on the poems’ music, and the more we think about the subject of a Potts poem, the more trenchant it becomes. Jueds: Reading “A Natural History” again, I’m reminded of another Buddhist dictum: this time, the first of the Buddhist precepts, which forbids killing. As soon as one starts to unpack this precept, one runs up against a double bind, a phrase Potts often uses to describe his work. We must eat, obviously, in order to live — and in order to eat we must kill, directly or indirectly. If we don’t eat, we’re killing ourselves. How to live with this knowledge, that one of our most basic needs inevitably causes harm? Potts’s poems seem to me — not an answer to this question, because there is no answer — but a grappling with it, an attempt to engage, if not come to terms, with this most fundamental pain. I want to continue the discussion of nonhuman animals you began above in your reading of “A Natural History.” Animals populate Trickster throughout, appearing in nearly every poem. I think you’re so right that the poems often concern themselves with the violence we inflict on the animal and natural realms. And yet this violence, too, is complicated from the start. It’s complicated, as you point out, by the implication of not only ourselves but of poetry and language as well. It’s further complicated by the shape-shifting nature of the animals who dwell inside Potts’s poems. Often, Potts chooses to capitalize the animals’ names, so that the Robins, Spiders, Pigs, Worms, and Orange Cat who appear in Trickster appear not only as themselves but as more-than-themselves: mythic or archetypal animals or animal energies. These nonhuman animals interact with Trickster’s human speaker in myriad ways. As we’ve said, at times they are victims of human cruelty or thoughtlessness, victims the speaker tries to help — as in “Washroom (Oil Spill)” and “Tanka” — or himself harms, often simply, it seems, by virtue of being human — as in “Nest” and “The Good Life.” In the latter poem, being “sure of … allegiances,” nurturing certain plants and animals in the speaker’s garden, means that other living beings must be harmed or even killed (“I take a hacksaw to the Laurel, make visible / a path — this was our plan, after all, I must / prune the garden of uselessness, guilty …,” 6). And sometimes, movingly, these nonhuman presences serve as intimate companions for the speaker, as guides and friends. In “Utopia Parkway,” the book’s final poem, “the old dog licks my hand / to keep walking,” encouraging and accompanying the speaker on his path (72). And in “Diary,” not only Cat but the other beings that fill the poem — Maple, Magnolia, Climbing Rose — move with the speaker in a wordless space of communion: “We are not one and the other; there is no addition or subtraction, only Life and the life within our life and the Lives that include us” (63). I’m a bit concerned that quoting these gorgeous lines out of context makes them seem slighter than they are: a sort of easy wisdom. The truth is that within the poem itself, and the entire context of Trickster, which confronts so many of the heartbreaking and terrifying aspects of our relationship with the natural world, they are beautifully and rigorously earned. 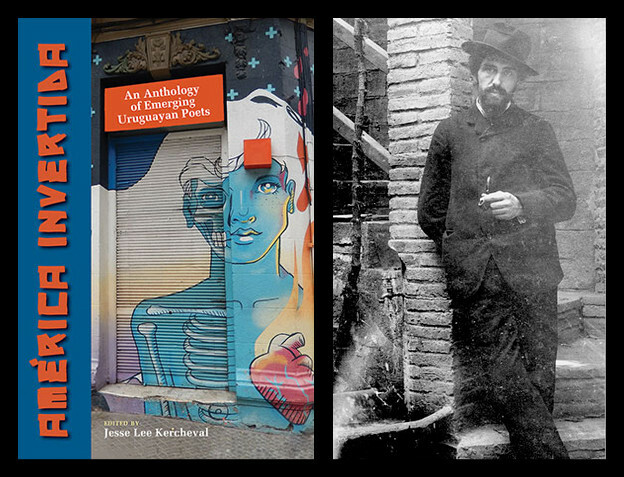 In these lines — and in such poems as “Utopia Parkway,” “Diary,” and “Familiar” — another facet of the shape-shifting Trickster is revealed: one in which, somehow, harmony and hope exist, in spite of the world’s brutality. Trickster, in its complexity, intelligence, and richness, is capacious enough to hold all its seeming contradictions, and to help us feel that this damaged world deserves our love — is worth, still, living in. 1. Paul Radin, “Wakdjunkaga,” Winnebago Notebooks, Winnebago 5, no. 7, trans. John Baptiste (Philadelphia: American Philosophical Society, ca. 1912), 567–68. Used with permission of the copyright holder, American Philosophical Society. 2. 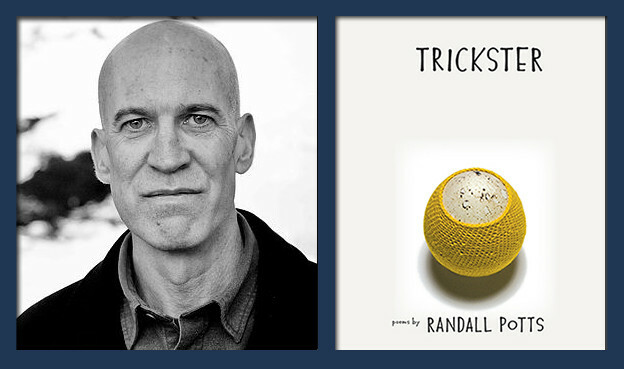 Randall Potts, Trickster (Iowa City: University of Iowa Press, 2014), 3. 3. Lewis Hyde, Trickster Makes This World: Mischief, Myth, and Art (New York: Farrar, Straus and Giroux, 1998), 7. 4. Robert Frost, North of Boston (London: David Nutt, 1914).